I’ve been on the road, so this is a bit light. SEMIBUG has a new website. All the text in the links lined up this week, which is mysteriously satisfying. Bringing up 802.11ac on FreeBSD. Official OpenBSD 6.1 CD – There’s only One! Related: Errata and (First) Binary Patches Announced. Digging into BSD’s choice of Unix group for new directories and files. Announcing NetBSD and the Google Summer of Code Projects 2017. It’s long article title week! A PDF of the IPv6 handout, from the April SemiBUG meeting, is available. pfsense for a small ISP in both router and firewall settings? The many ways of running firefox on OpenBSD. Michael W. Lucas’s Penguicon 2017 Schedule. iXsystems TrueNAS Certified with Veeam Backup. There’s always a rush of links after a holiday, as people sit at home and catch up on what they’ve wanted to do. 2016 computer review A lot of people like that X1. This is why I try to be specific when talking about BSD book author Michael W. Lucas. Configuring the FreeBSD automounter. I think this applies to DragonFly too. Thanks, Michael Wilson. AsiaBSDCon 2017 paper proposals are I assume due by end of year, just like last year, though the 2017 AsiaBSDCon site does not appear to be up as I type this. BSD Magazine has lessons 4 and 5 of FreeBSD and Chef up now. Replacing Cisco ASA with PFSense. I did it, I ain’t sad. Several pfSense links this week, which by complete coincidence is the same week that I’ve been adding network cards to my older pfSense devices at work to create radio links. 24/7 support plans for pfSense. I’ve found that Windows 10 seems to perform better in VirtualBox than FreeBSD. The October issue of BSD Magazine is out. Unable to run Windows programs after reinstalling wine. mksh on FreeBSD – custom PS1 help? A very valuable vulnerability. Discovered by a BSD-based company. garbage episode 39, Provenance. Might not have any BSD content? I haven’t had a chance to listen to it yet. This was an easy week to put together; there’s a lot of links this week. Last week was slow – maybe it was because of EuroBSDCon? A new addition to FreeBSD.org. SNIA SDC 2016 Recap: Michael Dexter. Swordfish sounds interesting. Is anyone here using netflix on FreeBSD? New to BSD. Please help me choose a BSD. “PAM Mastery” print sponsor books. OpenZFS: Stronger Than Ever. Devsummit report. NYCBUG moved their cabinet without issue. It sounds like NYI is good people. g2k16 hackathon: Undeadly has reports about ddb, vmm + vmd, package signing, ports + wifi, fuse, and a lot more. iXsystems to Host MeetBSD California 2016 at UC Berkeley. Google, MAKEDEV isn’t supposed to make party. Just sayin. Anyone have experience with virtualization using bhyve? FreeBSD 10.3 vs. OpenBSD 6.0. Was the $500,000 DARPA lost contract the last big funding/deal/project OpenBSD was to get/got? FreeBSD Myths, with discussion on Hacker News and lobste.rs. Why don’t companies use FreeBSD as much in production as Linux? Resources on the BSD Make System. Should I use doas instead sudo? 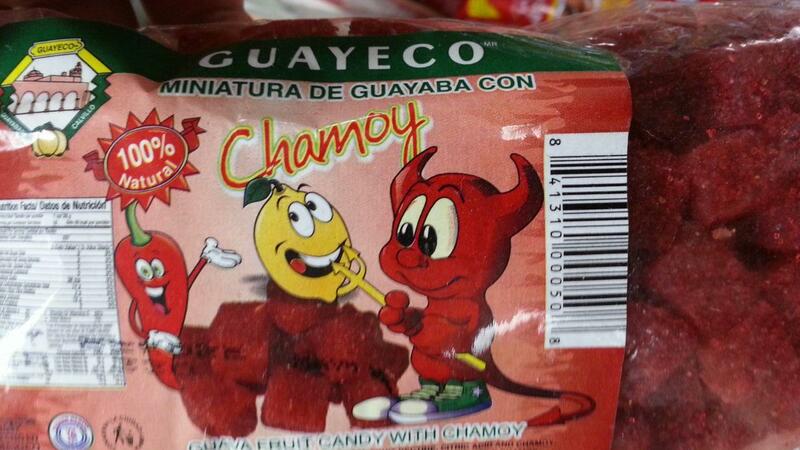 The BSD Daemon feature in mexican candy packaging. NetBSD removes last RWX page in amd64 kernel.